It’s no surprise that nearing the end of the year, people tend to celebrate (or curse) what’s happened since they were last here, along with wistfully looking back on their lives. So, too, with the Christmas holiday approaching, seasonal movies impact upon those same lives, usually but not always, joyfully. It is the rare film that succeeds in bringing forth the dark as well as the light in the same screening. Beyond those who love and write about this classic since the film’s début, as cited in many tributes and documentaries (online or otherwise), it is director Capra’s and actor James Stewart’s favorite, as well. This movie can be summed up by its essence: an uplifting message of friendship and the extramundane, but ultimately it is the hopeful worth of the individual upon a community. No other work in the long line of films I’ve seen can touch and rekindle the warmth I feel by this motion picture’s conclusion. Frank Capra’s masterwork easily transcends the decades since the time of its making in the mid-1940s. 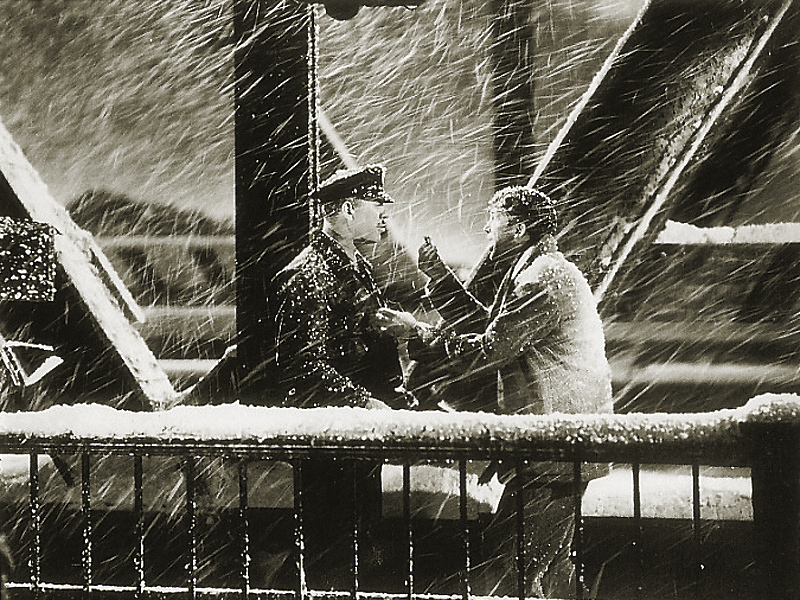 It settles me, the curious viewer, in the town of Bedford Falls, New York without complaint whenever I watch the film. Its strength as cinema… or as a piece of Americana… is its faceted and deeply layered approach to what seems like a simple story involving family, sacrifice, and yes, despair. Nonetheless, It’s A Wonderful Life‘s story, cast, and direction blend into something unexpectedly affecting while sentimental as snow falling on Christmas Eve — even to a native Southern Californian like myself. The above quote is It’s A Wonderful Life in a nutshell. Should the winter holidays leave you wanting, or have never watched IaWL on television, disc, or videotape like some of us oldsters, and so have never seen the 1946 film, it concerns the trials of one George Bailey. A Bedford Falls native whose boyhood dreams of travel and adventure are seemingly crushed by a life of familial obligations. He’s lived in his own world of self-sacrifice toward his younger brother, father, and the small close-knit community around him. George is an imperfect yet extraordinary man with a rising, latent bitterness toward his situation. By the film’s Christmas Eve reckoning, with his final hopes crashing down all about him in the potential financial ruin (through no fault of his own), it leaves suicide as his last idea for a solution to the predicament. Enter the guardian angel — second class, mind you — Clarence, who gives George a vivid look into the world as it might have been if he’d never been born. While that plot device looks staid and conventional today, it was sobering concept in a post-World War II U.S. at the time. From that, the audience is drawn into a glancing, heavenly nightmare. George realizes the worth of his life and to those around him (albeit painfully) and pleads to live again. And, climatically, Life (so to speak), recognizes the worth of George Bailey, and rewards him. At once, the storyline touches, at times wrenchingly, life’s inequities, what-ifs, and the seemingly contradictory moments of sheer joy. I’d say George’s desires and emotions in the tale lay familiar as they are pretty universal conditions (whether you believe in a deity or not). That is the film’s not so subtle secret, I think. Additionally, Mr. Capra’s film works, in retrospect, because a great script by Frances Goodrich, Albert Hackett, Jo Swerling, Michael Wilson, and Capra himself (as an adaptation of Philip Van Doren Stern‘s story) was matched up with what most people agree was a cast tailor-made for its characters and time. 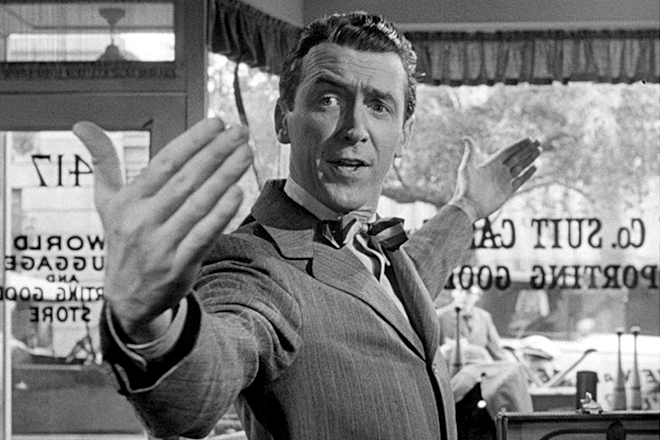 No less so than with the archetypal everyman role of George Bailey brought to life by the quintessential common man actor, James Stewart. Mr. Stewart had a long-standing and varied career with many highlights. This among them. I think his range as an actor, from comedy to drama, western to courtroom thriller, ordinary gentleman to mercurial and ruthless cowboy, remains underrated. His greatest gift may have been his quality and delivery of the vernacular; his informal but not simple manner. And while many an actor have tried to achieve this in other movies — please stop trying Jim Carrey — only a handful since have completely brought it off. I’d say the late-Jack Lemmon certainly did. Moviegoers may have begun to notice Stewart with his star-making work earlier in 1939 (Mr. Smith Goes to Washington with Capra and the unexpected western Destry Rides Again). But, it may have gelled for all-time with this his George Bailey part. Stewart is inseparable from the role and the film. As for George’s heartbeat in the story, Donna Reed brought an unforeseen warmth, grace, and strength to her part as Mary Hatch. I’m sure to many, she embodied the ‘All-American Girl’ ideal for that era. Yet, her Mary was not without a sense of passion, romantic or otherwise in this. If George Bailey was the center of the story, it’s Mary’s persona in the piece that was the glue holding it all together (a point I’m in good company with my friend Ruth). As there’s no story in WALL•E without E.V.E., I daresay It’s a Wonderful Life is little more than interesting without this character in place. She anchors George in the other way possible… for the better. Without her, he spins off (contrast their’s to Sarabeth’s relationship with Charlie Arglist in my part one entry, if you don’t believe me). And though she didn’t have half the career James Stewart did, Ms. Reed was just as important to the success of this tale onscreen. The remaining cast was equally ideal. Could anyone else have played the great villain of the town’s richest man, Mr. Potter (Capra’s key idea and addition to the script), other than Lionel Barrymore? I think not. His role is part caricature to be sure, but man, does the character breathe! He has life, malevolently so (that it still relates to the pillars of capitalism today says something). Potter resonates with an all too real power and menace. Henry Travers as Clarence the Angel, stumbles amiably to the heartfelt rhythm of the film. We should all have a guardian who tries so hard. Uncle Billy, played by Thomas Mitchell, poignantly identifies with family, fears of growing old, and our compassion for an irascible relative. The rest of a mighty cast of great character actors, Gloria Grahame, Ward Bond, Frank Faylen, etc…, go on to complete a core that’s become part of cinema history. Finally, but not lastly, Frank Capra’s direction and production kept a heartrending tale from veering to the maudlin. He did not linger on man’s goodness or his failings, or purely on life’s ups or downs. But, he did give the film a feeling of hope and enlightenment, along with an immigrant’s sense of overcoming struggle that remains part of the American historical convention. It is the undertone of this story. As well, Capra bestowed a preternatural sense of Heaven (along with a little Hell) here on Earth that lasts for the duration of the film, and then some. The everyday and the otherworldly. The creation of Bedford Falls, materialized as a real place on film (though it was pure construct) for those who watched it, inhabited by distinct mix of people, was no small feat. What he brought together, by whatever means, in cast, crew, and script endures and is indelibly etched in many a memory, and no doubt was the highlight of a great career. And though it has many, many moments of unmistakable bliss within it, Capra counterbalanced it all with some pretty stark situations that are nightmarish and recognizable by all who sit and watch the film. Again, somewhat mirroring his career prior to World War II with Arsenic and Old Lace*, it was that dark undercurrent that only contributed in bringing out its best parts. 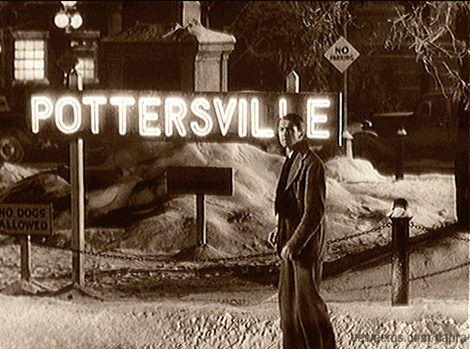 In other words, It’s a Wonderful Life bestows a heavenly sense by sending its lead character through the town of perdition. It remains the only holiday film that makes full use of its film noir imagery to achieve that perception. That is to say, you’re not going to have a silver lining without that dark cloud to show it off. 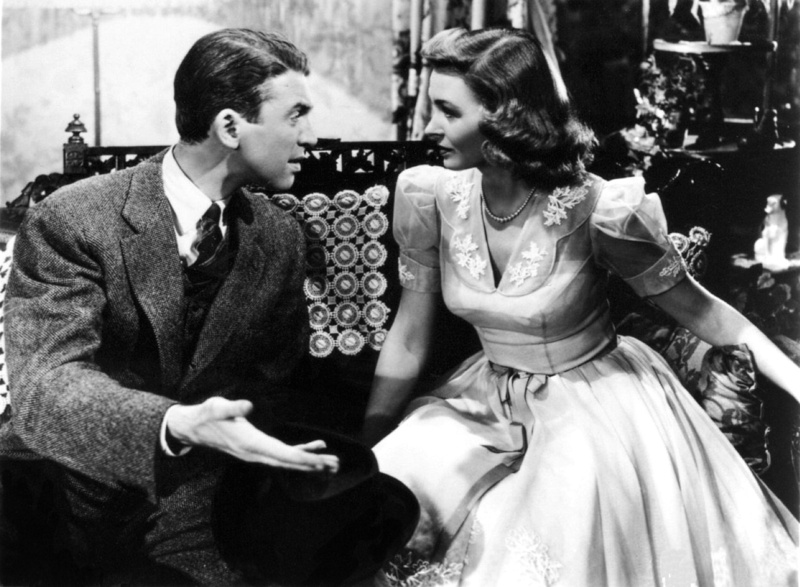 Frank Capra’s masterpiece may be America’s most beloved film, for this or any other time of year. Yet, even with its status today, the film was considered an initial failure and slipped through the cracks and was forgotten for decades. Nonetheless, it became part of the culture, apparently saved for a twist of copyright, byway of annual TV rebroadcasts during the 70s, 80s and early 90s during the holiday season. I guess it should be no surprise that by reaching such later loft and cultural aesthetic, the film draws almost as much vexation as veneration by some. Like a classic tune of yesteryear, It’s a Wonderful Life has been remade a number of times and referenced countless more (as I’m doing here in both parts of this tribute arc). Case in point, The Exorcist author, William Peter Blatty, used the film to great and poignant effect in his sequel novel, Legion (which later was adapted to the screen as the underrated Exorcist III). It speaks to IaWL’s longevity, let alone societal and cinematic relevance, that the film remains a touchstone for so many of its fans. For those who have seen and have found meaning in it, the film is a veritable highlight reel of scenes. I, for one, cannot forget the Charleston dance contest sequence on the high school basketball floor so wonderfully and comically staged; the passionate kiss of George and Mary that comes at a point of romantic anguish and realization for our protagonist; or the crescendo and emotional impact that the final twelve minutes bring. On today’s 65th anniversary of its début release in New York City, and no matter how many times I see it, this movie still manages to enthrall me. It remains one superbly crafted film. I suppose, this particular work by the filmmaker really put the final mark on what it was to be Capraesque. Though the filmmaker never rose to similar heights in his later work, cinema and its fans can rejoice in the peak he attained with this film, I think. Everything worked: direction, cast, cinematography, editing, costumes, and even the corny singing. This motion picture seems to be about dreams that turn into nightmares, and torments that transform to blessings. As film historian Jeanine Basinger once wrote about Frank Capra’s blend of optimism, humor and patriotism, it meant understanding, “… darkness, despair, and the need to fight for things you care about…” This film personified that point. “Capra’s heroes often undergo real suffering”, she added. 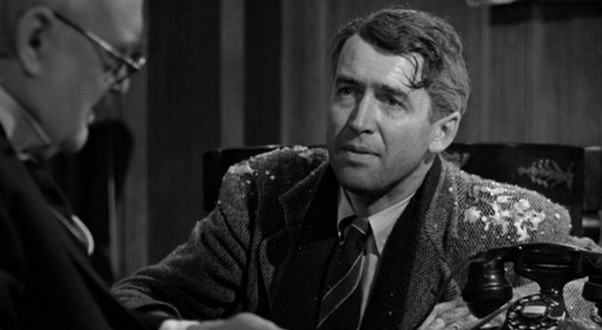 George Bailey wins, but also loses… and sacrifices, only to gain many fold. And with all that, It’s a Wonderful Life became the rare film that remains greater than the sum of its parts. Again, we’re all better for it. * note: though Arsenic and Old Lace was released in 1944, it was actually filmed in 1941 before Capra went to work making movies for the WWII War Dept. effort. That sir is an amazing piece of writing that has left me pretty speechless.Luckily I am able to type though. You made my little article look quite amateur, ace! I was reading about Donna Reed yesterday, I didn’t realise she was in Dallas for one year?? Thank you very much for the kind words, Scott. 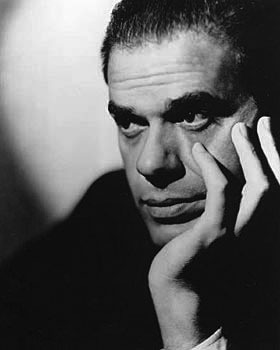 I loved your piece on this masterwork of Frank Capra’s, too (and am glad to found your site and its wonderful content). Yep, I remember Donna on ‘Dallas’. I think it was one of the last things she did before her too early passing. She was really something in this and ‘From Here to Eternity’ in ’53. Woo hoo!!! What a wonderful write up, so fitting for this amazing masterpiece. Thanks for the mention too, what an honor that you remembered my wee post. I’m so glad to hear people loving this so much at the Christmas #MTOS, its message is really what Christmas is all about for me, no Santa to be found. You make me want to watch this again, Michael, though I will be watching The Bishop’s Wife (based on your recommendation) so I can review it by Christmas day. I’m with you Ruth on the meaning of Christmas. It is so easy to get wrapped up (pardon the pun) in the chaotic buying of presents for the world and his dog but it is in learning to make a present of yourself to those around you that Christmas holds the biggest lesson for me. One that I am reminded of at this time of year and that I get to practice all year round. btw What’s the Bishop’s Wife? The Bishop’s Wife was a 1947 Christmas film starring Cary Grant, Loretta Young, and David Niven. It was remade in ’96 as The Preacher’s Wife with Denzel Washington, Whitney Houston, and Courtney B. Vance in the Niven role. Happy to do it, Ruth. You know I’m a fan :-). And yes, the Christmas #MTOS on Twitter last Sunday really did show how many adore this film. It remains the quintessential movie for this time of year, alright. Let me know how you like ‘The Bishop’s Wife’. Many thanks. Hey L13. A lovely and proper tribute to one of the best Christmas films ever. It may be one of my favorite films, but because it’s typicalluy shown at Christmas I never really think about it. Anyway, it’s, well, a wonderful film. I had to think for a minute about an actor as capable and likable and diverse, if you will, as Jimmy Stewart. It’s not easy to point to someone and of course when they made Jimmy Stewart they broke the mold. There’s no one who will ever be exactly like the man. But I would say Steve Carrell for me walks that line between comedic and touching and heartfelt at times. He has a presence on screen that I am always drawn too in that old-fashioned actor sort of way. This is certainly subjective and others may not feel the same, but I think of Dan In Real Life regarding that ability to walk the line. Anyway, a wonderfuil job looking back at a classic. Lastly, love the snow effect! How perfect while reading it. Best and Merry Christmas to you and ya old It Rains…You Get Wet site! Thanks very much, SFF. Y’know, I think you’re right about Steve Carrell. And ‘Dan In Real Life’ does capture it very well. The best and merriest of Christmas to you and yours, my friend. Excellent review of this classic film. I love it, too. Love watching it and getting lost in the world that Capra creates. What strikes me every time is how atmospheric the film. You really get drawn into this world and its inhabitants. Whenever I watch it I start looking at what’s going on the background or on the margins and it always impresses me how fully realized Bedford Falls is. Anyways, fantastic write-up, as always! Thank you very much, J.D. And thanks again for sharing the piece on Facebook, too. I agree with your point on how atmospheric this film is, as well. Bedford Falls becomes a real place for the audience. Good to hear from you, Ronan. Thanks very much for the compliment. And this film does epitomize the best of things this busy world tends to forget or overlook, alright. I never tire of this film, even though I know what’s coming. It’s a rare film that doesn’t get old or staid. A Merry Christmas and Happy New Year to you and yours, my friend.